When compared to shingles, metal roofing systems offer building owners not only significant advantages in terms of longevity and durability, but metal roofing also offers many options to meet a variety of building specifications and needs. Longevity, lower utility expenses, recycling options, and increased durability are all well-known advantages of metal roofing systems, so it’s not surprising that metal roofing is becoming more popular across the US. For building owners who opt for a metal roofing solution to replace an existing shingles roof, there are options available to help offset the increased cost of a metal roofing system. For instance, the 138T Shingle Recover System allows you to install a new metal roofing system over an existing shingle roof. This has a number of advantages for the building owner in terms of both labor and material savings. For most buildings, the shingles can be left in place when installing a 138T Shingle Recover system. This means that removal labor is eliminated as well as any transportation or disposal costs. Another advantage of this particular system is that there is no need for an underlayment to be installed, which again eliminates another labor and material cost. The underlayment is not necessary because the 138T Shingle Recover System uses the 138T roofing panel patented clip system which creates an Above Sheathing Ventilation airspace. The ASV airspace means that the new metal panels do not come in contact with the existing shingle roof. This video highlights the components of the Shingle Recover System. 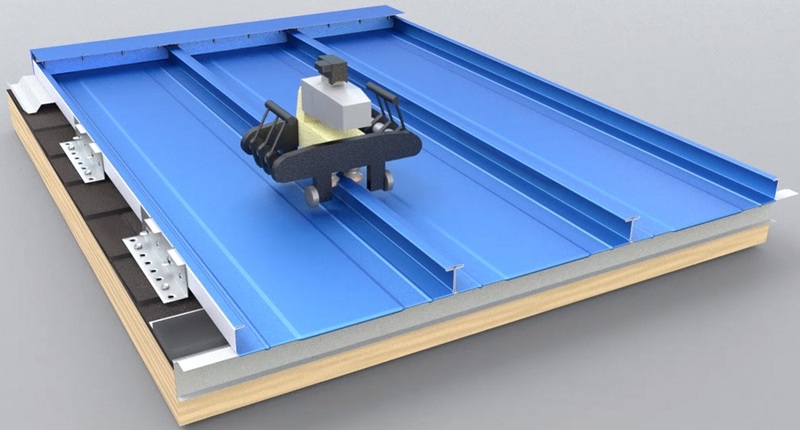 Another option available to building owners is a recover system that makes use of symmetrical standing seam panels rather than traditional, asymmetrical standing seam profiles. Symmetrical standing seam panels are the best option to guarantee ease of future repairs, remodels, and additions. The difference is that symmetrical standing seam panels allow for easy removal and individual panel replaceability. You can learn more about the full range of metal roofing options available to you in our new eBook Tired of Replacing Your Shingle Roof? 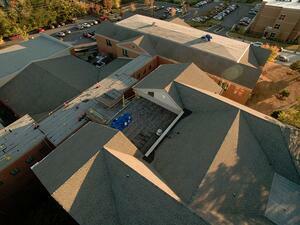 Metal-Over-Shingle Recover System Offers a Long-Term Solutions with Cost-Saving Benefits. Follow the link below to learn more about the advantages of metal roofing, metal roofing options, and the importance of finding the right roofing partner to work with.